We want our customers to be happy with the work to be carried out on their vehicles, whether the work is planned, requested or identified as necessary. We are happy to work on all types of vehicle, new or old, tilt or non-tilt cab. We give you an estimate of costs and request your authorisation prior to completing any work. This means you are always in control of your expenditure. We keep you updated on progress, any unforeseen costs that arise or any delays that may occur. Therefore you have no unexpected large bills or can arrange alternative transport for planned events if needed. We advise you on the best way to resolve a problem. This is helped by us having seen and resolved various issues in our 25 years of business. We work hard to return your horse box in good time. Most jobs are completed between weekends so you don’t miss out on any pre-planned events. We work within your budget where possible to provide materials and updates that work for your vehicle and your budget. We can manufacture certain parts for older trucks that are no longer made. We stock a wide range of materials at our yard to speed up repairs and updates. We will discuss your requirements and prioritise the most important jobs; particularly those that will affect the safety of you or your horses. 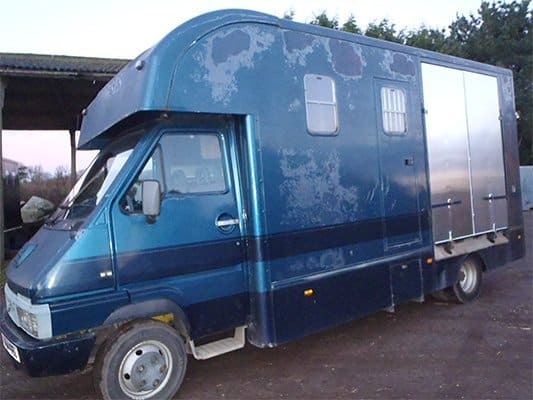 We can view your horse box and discuss your requirements or repairs free of charge. We offer a collection and delivery service if you are unable to deliver your vehicle to us. We also offer a weekend dropoff service with a safe place for keys. Please call or email us to discuss your needs. For larger repairs we will give you a guide figure over the phone. Once we have inspected the extent of repairs to be done we will give you an exact quotation for the work. 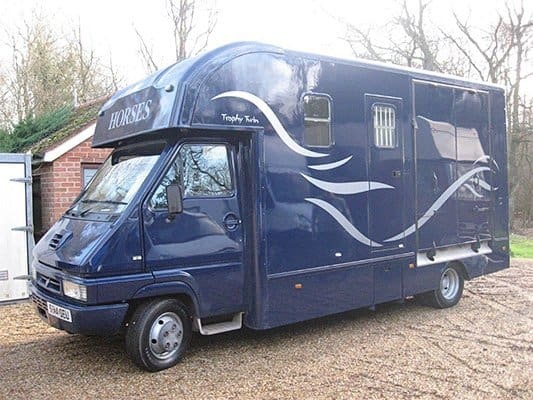 Testing your horse box is necessary, but often a challenge as they aren’t always used regularly. We can check over your vehicle prior to test and take it through the test for you to give it the best chance of passing. We recommend a full service every two years at the same time as the test. On the non-service year, we recommend that we check and top up fluids, check your wheel nuts and tyre pressures so the truck is safe for the year ahead. As we pre-book annual tests with the test station, we can offer our customers a variety of slots. Booking these tests in advance allows you to choose a timeslot that will not interfere with your events diary. 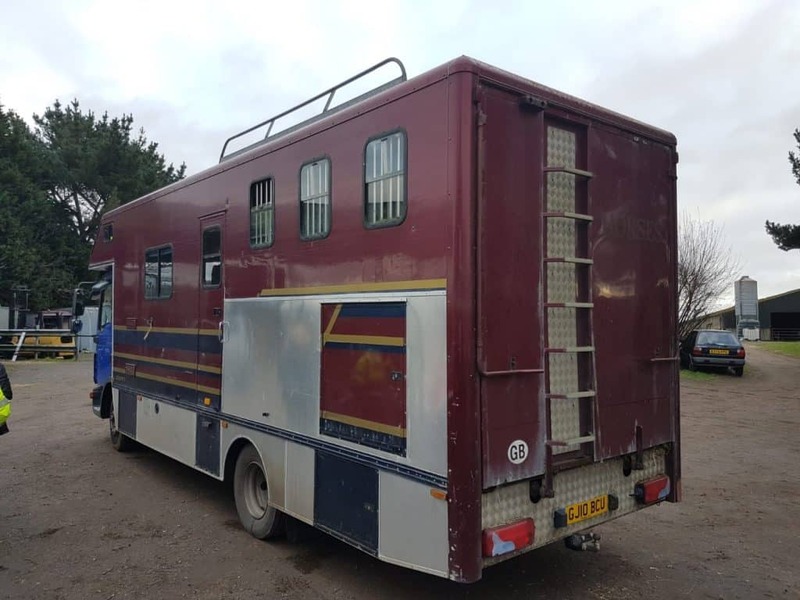 If you are unable to transport your horse box to us, we can come out to your premises and carry out servicing and repairs on it. This is a timesaving service which will also save you a lot of inconvenience as most servicing and repairs can often be completed at your property. This service is only be available within a limited radius of our workshop base and is subject to a call out charge. This includes replacing horse box floors and ramps, adding in those tack lockers you’ve always wanted, updating tired living spaces and enhancing your horse area to make it safe and comfortable. Choose from our range of extras, many of which can be added on to older horse boxes. 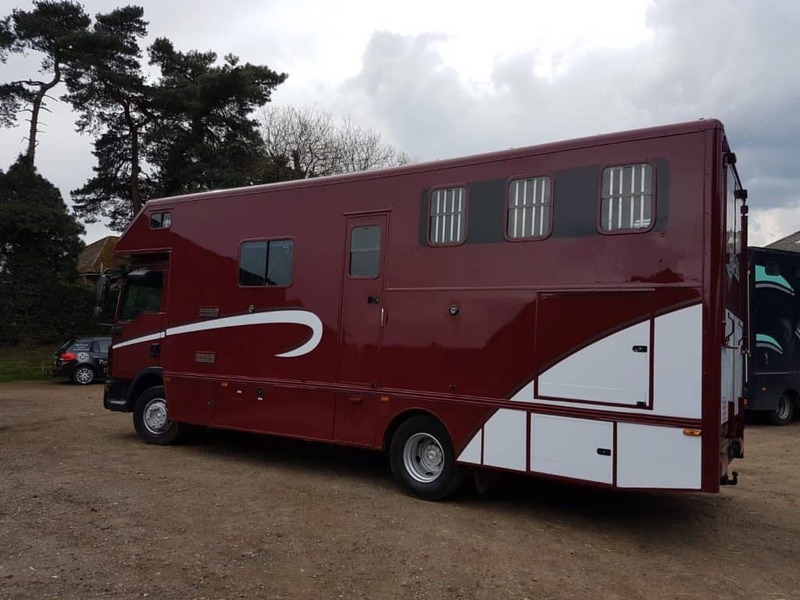 With a team of master coachbuilders, carpenters, mechanics, upholsterers and auto-electricians, we can update, refurbish or create from scratch the additions to your horse box that you require, whether this be for safety, comfort or simply to improve your experience when travelling or staying away at events. We have the most up to date computer diagnostics and a team of skilled technicians to carry out mechanical repairs from fitting a light bulb to changing a gearbox and everything in between. Our experience also means we have dealt with most problems, so we are easily able to identify even the trickiest of issues and resolve them quickly. In the unfortunate event that you break down or are involved in an accident, your safety and the safety of your horses is a priority. We work closely with a number of recovery services who can deliver your vehicle directly to our yard, offload it and store it safely. 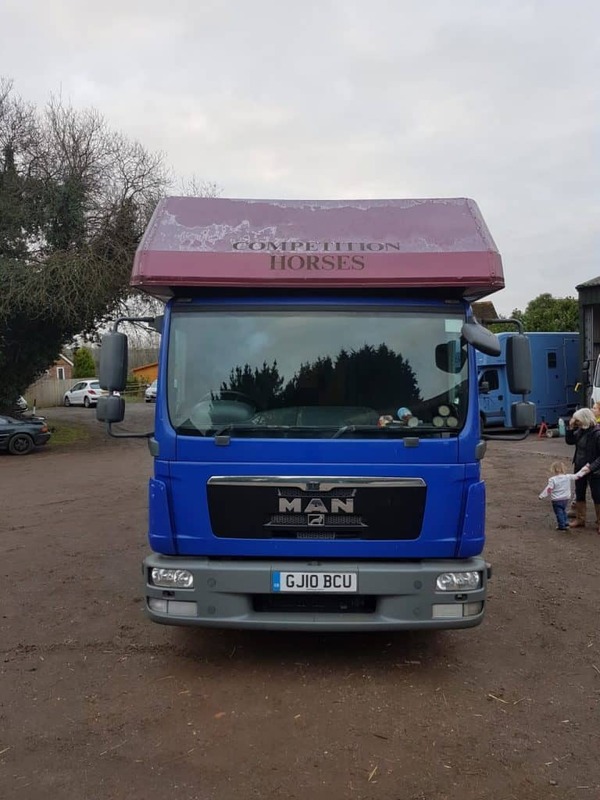 Following an assessment of your horse box, we will work with you to identify the immediate repairs required to get it back on the road safely and quickly. We also specialise in insurance work and will work on your behalf to make this run as smoothly as possible, keeping in touch with your insurance company and working with their engineers to reach an agreement on the work to be completed. 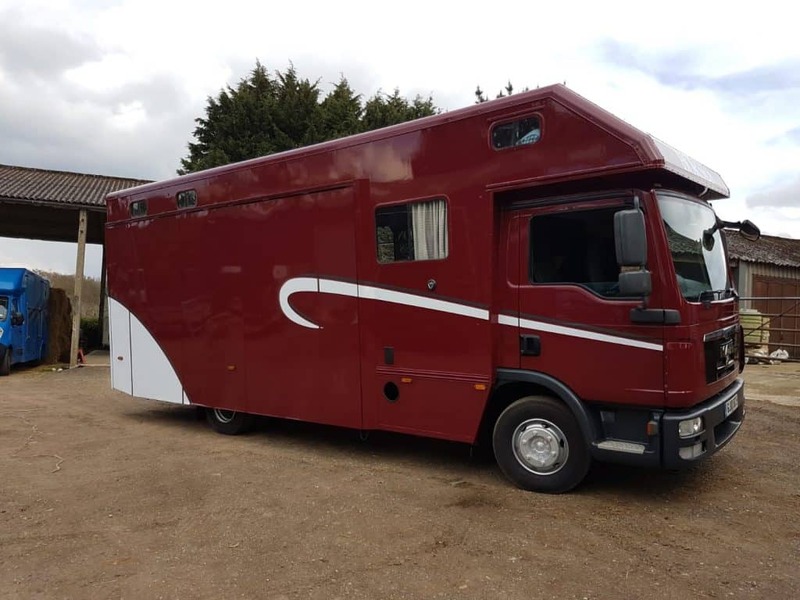 If your horse box is looking tired on the outside it might be that a full respray will make you feel like you have a new box, especially if there is nothing wrong with the rest of the vehicle. Supply us with some good photos from all sides and especially any area of rust or damage and we can then give you a quote for a respray. Our paint shop has a 40ft full size oven to bake the paint and great care is taken with the preparation to ensure the best finish possible so we would expect the finished job to last for many years. Always helpful, straightforward and reliable. Excellent workmanship and completely trust Adam and his team to do what is needed to keep me and my horse safe and on the road. Great service. Thank you. Love my horsebox. Just picked up my box after yearly check, it's now driving like a dream again. No hassle fantastic service as always. Always grateful I use Julia and Adam at Peper Harow. I have been meaning to thank Julia and her team for a while so apologies guys! I recently sent my lorry for pretty major work on my ramp which was damaged due to a young horse being a bit over zealous with its strength! I was kept in the loop at all times either via email, text or phone call. On collection of the lorry I was greeted by a very friendly and may I add a very patient Adam as I was running an hour late due to traffic! And he had come into work specially to meet me so that I could collect my lorry...I was shown all around the work carried out and I was super pleased with everything that had been done, I now have a ramp that works brilliantly and you would never had known that any work had been carried out. This week they replaced my lorry roof which was leaking and damaged after a horse tried to put its head through it. They did the work in the timeframe they said, they kept me posted on costs and they ferried me to and from the train station so I didn't have to worry about getting lifts (thank you Aaron!). They've done a very neat job and I'm impressed with the quality of their work. Highly recommend. A big thank you to Adam and his team. 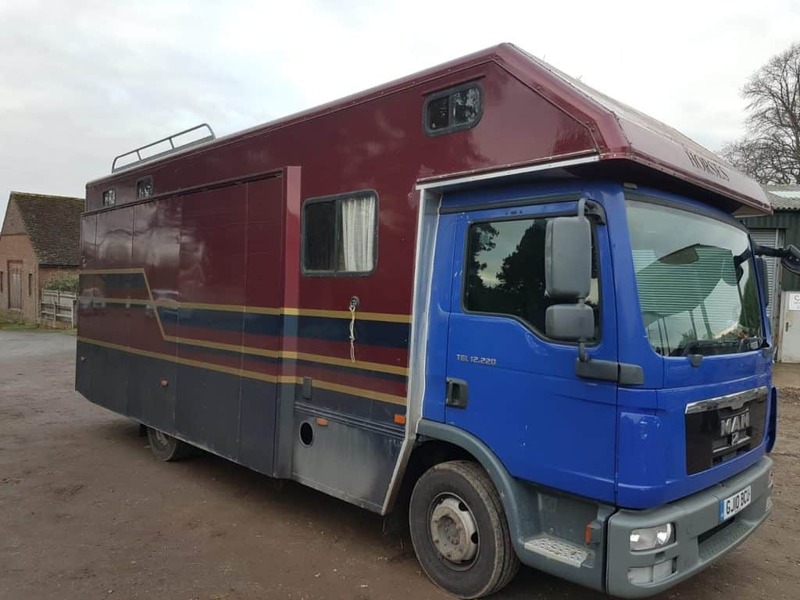 I took my horsebox to Adam as I need some modifications done on it. I needed a creative solution to an issue with the breast bar and Adam came up with a just the perfect solution. The work done is to the highest standard and I am thrilled with the outcome. I won't hesitate to take the box back to Adam should I need more work done. Thank you! 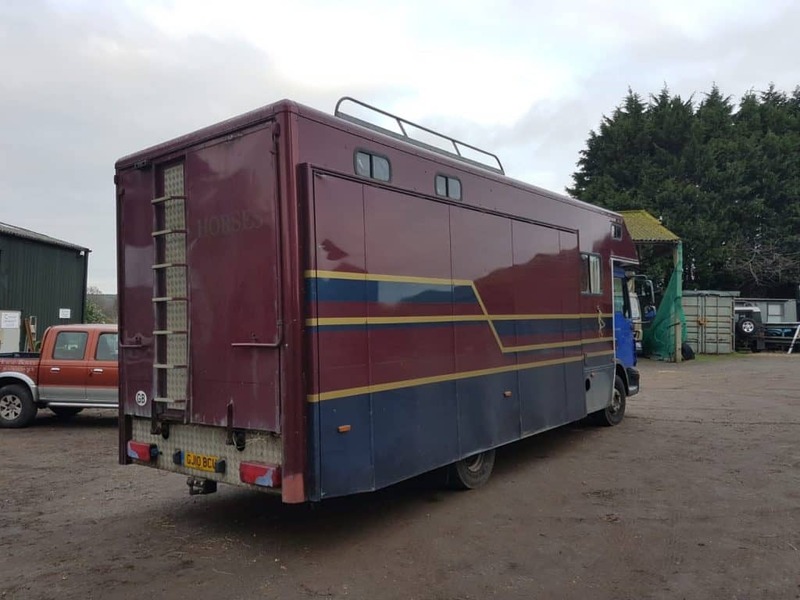 I bought a horse box L Reg and took it to Peper Harow to be revamped. Adam advised to put it through a new plating (it had 8 months left) just so I knew there weren't other expenses ahead. It passed with no advisories. He then completely gutted the box - new floor, new ramp, new partition and he built a stud wall for extra security, giving me day living space. Also I had all the walls padded. I had a budget and he kept within that. The work was done very quickly and 3 years and the box is still going strong. Having bought a Peper Harow Trophy Twin, we used and possibly abused it, but enjoyed it over many years. It had started to look very tired through general wear and tear. As a family, we took the decision to have it repaired including a complete revamp. 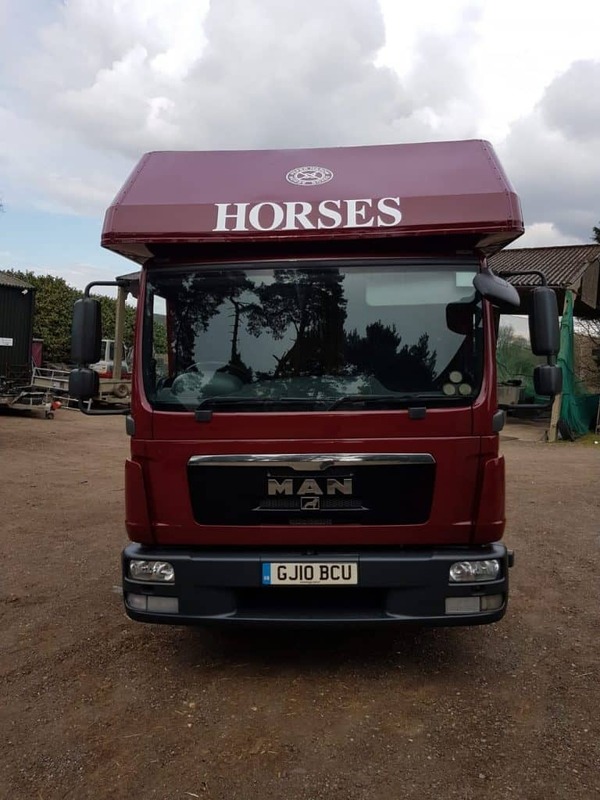 We returned it to Peper Harow who started working on it mid-December 2014, four weeks later with the job completed on time; we collected what looked like an entirely different horsebox, now looking like new. We are obviously so pleased with it, after posting a picture of it on Facebook, we have had so many nice comments with its new look, our friends couldn't believe the transformation. We would like to take this opportunity to thank Julia and all at Peper Harow for doing such a fantastic job at such a reasonable price. Once again many thanks. My horse box was in cosmetically poor condition - with peeling paint and rust, spreading quickly. Unfortunately when it had been built the company had used steel panels to clad it rather than aluminium. After consultation with Julia and her team I had 2 options: to sandblast and do a respray or to completely refurbish the lorry completely replacing the steel panels with aluminium ones. I chose the second option for a long-term solution - and I am so glad that I did. The lorry now looks fantastic, the advice I had on the colour was totally right too. Most people think I've gone and bought a completely new lorry! In addition, we have just had it weighed and it is significantly lighter than before. 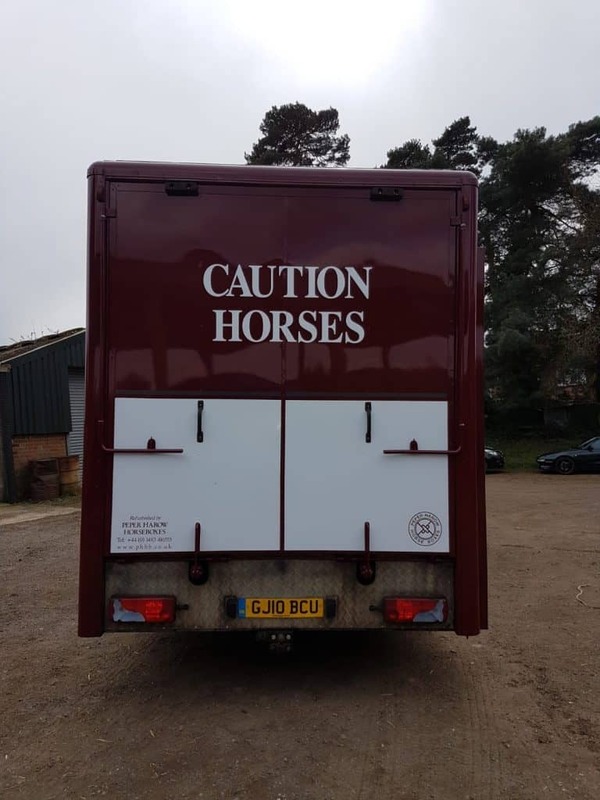 I would definitely recommend using Peper Harow Horse Boxes for any maintenance or refurbishment work needed. Did a great job adding custom anti weave bars and new floor in my 3.5 tonne (and a number of other jobs that needed doing, new cam belt, modifying partition, new tyres etc). Work was done to a high standard and I’m very happy with the end result. I think that I need to thank you [Julia] and Adam for the beautiful job that has been achieved on my lorry. I'm fortunate to have brought a lorry from a reputable company such as yourselves. Although the completed job took several weeks, I managed fine, so I do not feel that I was inconvenienced. The important thing is that my lorry is back and looking wonderful. I'm out in it this weekend, and I'm sure it will turn a few heads as we're driving, people very often pass comment on how good it looks. I always recommend Peper Harow Horse Boxes and will continue to do just that. Thank You.